Ambassador Bercovici – Did you travel freely? What ties this delegation together? John Bell notes (here) that Canadian media have noticed the delegation’s size and “questioned the wisdom and motivation of this ample devotion to Israel. Is it calculated interest or a moral drive? Some point out that Harper has much to lose by this stance. The parliamentary electoral gains among the Jewish community, although key to three seats in Toronto, are small in comparison to losses among the Muslim community. Certainly, in Europe, where I live, people are baffled by Canada’s zealous support for Israel” (here). I am curious, too, about the shift in recent years of Canadian foreign policy to support the Israeli government . How would you respond to these questions (here) prepared by the United Network for a Just Peace in Palestine and Israel (UNJPPI)? How was your travel? Did you move freely? Did you travel to Ramallah in the occupied West Bank with the Prime Minister? 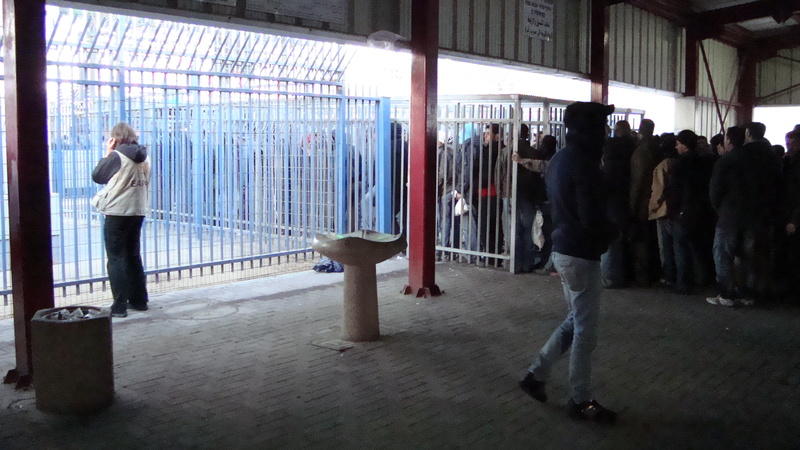 Did you travel by road and go through Qalandiya check point (here)? Or, did you fly? Here is a video (here) created by Neta Efrony, a filmmaker and a member of Machsom Watch (Hebrew for Checkpoints Watch; here). She is an Israeli citizen who objects to the Israeli government’s denial of the freedom of movement of Palestinians (for example, at Qalandiya or Kalandia check point). She asks: Where has compassion gone? Thank you for your willingness to represent Canada in Israel. Your position has immense responsibility. In your representation of us all, as Canadians, please…please look past the rhetoric of state-oriented definitions of security. Please go to Israeli-occupied East Jerusalem and touch that Wall. 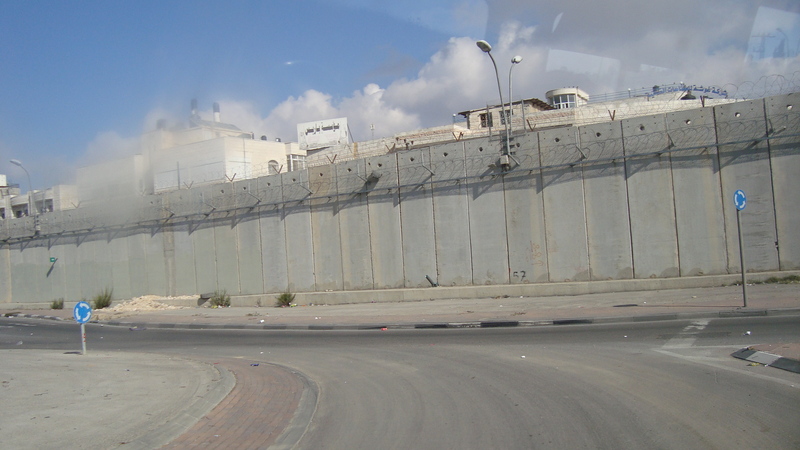 The Israeli government describes it as a Security Wall (more info). But, the only thing that wall does is separate people. It keeps people apart. 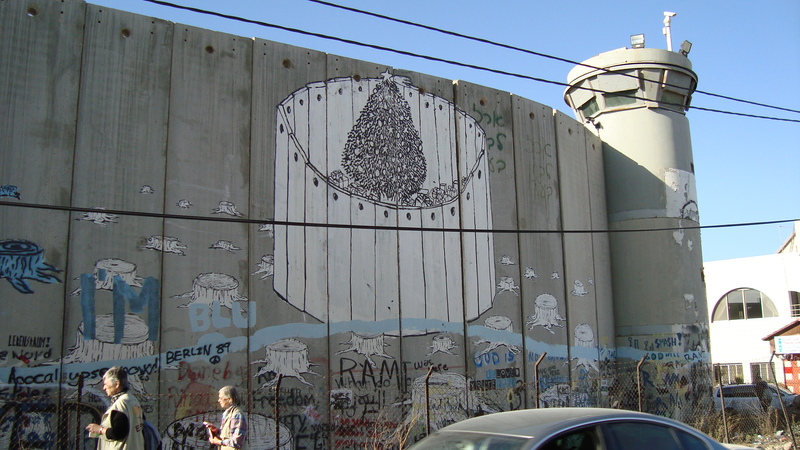 It is an apartness wall – an apartheid wall. In such situations, I hope that you will perceive a choice…to support “human security which exists when people are safe from direct and structural forms of violence [click here] and are able to meet their basic needs and rights. Human security advocates seek to replace or broaden traditional state-based definitions of security that focus on protecting territory or national interests. Human security aims to reduce the threats of disease, poverty, crime, and other factors that lessen the quality of life” (Schirch, 2004, p. 17). Last year, as you commented on the Israeli government elections, you wrote: “So in the end, it really doesn’t matter to them [the Palestinian Authority] who wins and leads in Israel. There is no willing negotiator on the Palestinian side” (click here). I disagree with your observation, because I know that many Palestinians do wish to co-create a just peace. Jean Zaru who is Palestinian and a Quaker has written: “Both Israelis and Palestinians live in fear. Neither Israelis nor Palestinians have peace. Both Israelis and Palestinians yearn for security. Others cannot give us freedom, peace, and security. No government, no army, no wall no matter how long or high will provide for us what can only be supplied by the cultivation of mutuality and trust” (Zaru, 2008, p. 129). Lisa Schirch’s (2004) The Little Book of Strategic Peacebuilding: A vision and framework for peace with justice. I encourage you to read a recent letter from Steve, a Canadian Ecumenical Accompanier, placed in Bethlehem. Click here. Please forward this blog posting, or the direct link to Steve’s blog, to your circles of family, friends, and acquaintances… Why not?